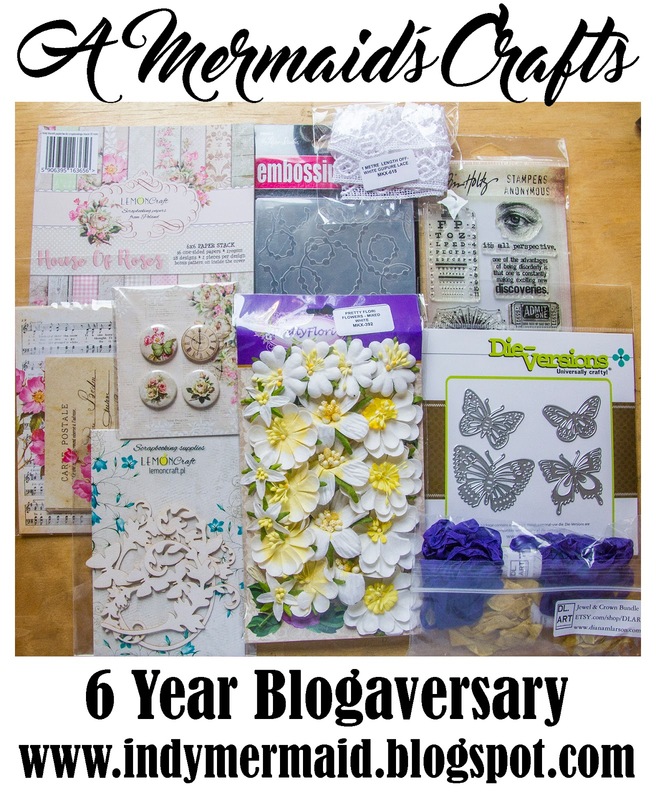 A Mermaids Crafts: Six Year Blogaversary Giveaway!! 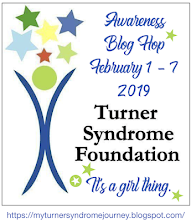 Wow, today is my 6 Year Blogaversary!! I have no idea where the years have gone...and they've gone by so fast!! It's been such an incredible journey and I'm so happy that you all are on it with me :) I am so very thankful for each and every one of you and I want to show my appreciation for your encouragement, sweet comments, and continued support. 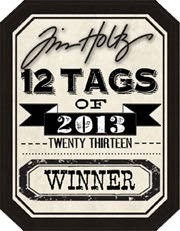 Post the giveaway picture on your sidebar (if you have a blog). I'd appreciate it if you shared it on social media, but that's not a requirement. Enter your name in the linky below. That's it!! The giveaway will run for a month (ending 4/12/17) and I'll use Random.org to choose a winner soon after. 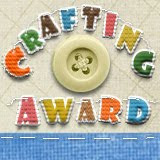 Congratulations on 6 years of wonderful crafty inspiration! I love all of your creations! They are always so awesome! I wish we lived closer so that we could craft together! Happy Blogaversary!! woo hoo congrats on six years. I have enjoyed your blog for many of those years! Congratulations on 6 fabulous years my friend - thank you for sharing your beautiful work with us. Happy Blogaversary!!! Congratulations on six years!! Thank you for the giveaway!! Shared on social media. Congratulations on your blogaversary! And thanks for the reminder of the sidebar picture, which I forgot to include with my 5yr. Doesn't the time fly and don't you meet so many wonderful folks. Thanks for the chance to win some of these lovely goodies, but as you can see by my organizational attempt, I don't need more 'schtuff'. Love the opportunity of your generosity however. Big hugs & thanks for such an inspiring blog. Your cards always require looking, then looking back to pick up something I missed on 1st view! Lisa, wow! that's quite an accomplishment--6 yrs! I think it's fun to go back and see what we made that many years ago, and see how far we've come. One of these days, I'm going to take a trip down your memory lane and see what you were making then. Thank you for this very generous giveaway! I'll need to come back after dinner, which probably means tomorrow to link up and put that in my sidebar. Right now, I want to take what's left of my "free" time to catch up with your amazing projects/posts I've missed. thank you for your tip on needle threading on my blog and always for your lovely comments! Sadly, I couldn't see to get the needle threader through the hole either; my machine has to be threaded front to back, which means the threader needs to come from the back. I'll try it sometime in the morning. My vision gets pretty bad at night. Sending lots of hugs your way, unless of course you want my readers and needle threader! Ha! Ha! Happy Blogaversay Lisa!!! Your work has been such a great inspiration to me. I wish you many, many more years to come my dear friend. Congratulations Lisa on your wonderful journey of 6 years, Wishing you many more to come! Thanks for the chance to win these yummy crafty goodies! Love all your beautiful creations! Congrats on your blogaversary! I am a huge fan of your creations and wish you many more years of craftiness! 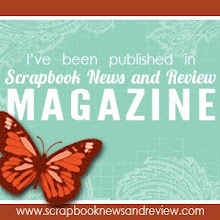 Even though I am not entering your giveaway, I adore those butterfly dies, so pretty! Awesome giveaway for one of your lucky followers! 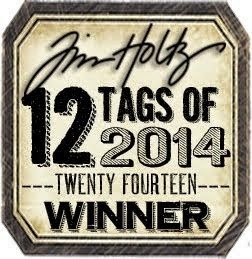 A huge huge Congrats Lisa...such a treasure you are giving away. I have my cousin in California so in case I am lucky to win you can ship to the USA address! Fingers crossed! Congrats on 6 years! What an awesome prize package you are giving! Thanks for the chance! Happy Blogaversary Lisa, congrats on reaching 6 years!! Thanks for the chance to win some lovely goodies, I have linked a pic in my sidebar. Happy Blogaversary!!! And super excited that it's been 6 years and wishing you many, many more!!! Wow, congratulations on your six year blogaversary! I've admired your gorgeous projects for years now and have been following on Bloglovin'. 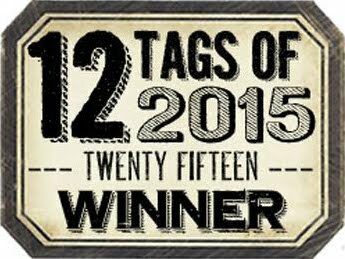 I don't have a blog but I'm sharing your giveaway on FB and always look forward to your inspiration. Congratulations on 6 years Blogaversary! I love, love yours project! You're doing a beautiful card, very elegant and feminine. Thanks for the chance to win your amazing giveaway! I shared picture on my sidebar. Wow.....6 years!! Fabulous. I follow you on Google Friend Connect. I ALWAYS am in awe of your GORGEOUS creations. Congratulations on this milestone and many wishes for more wonderful years ahead. Dear Lisa, congratulations to six years wonderful Blogaversery. I hope you give us for a long time more inspirations to craft I put a link on my sidebar. Thank you so much for the chance to win. YaY !!! 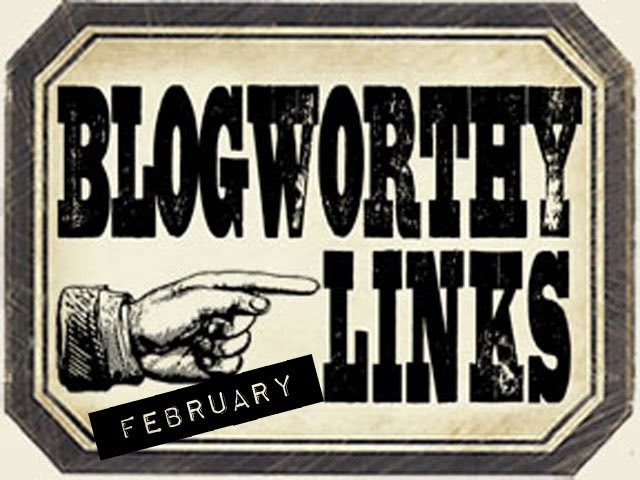 Happy Blogaversary :-) Yes - doesn't time fly past so fast ? I wish you many more super Blogging years. Congrats, yes it does seem the years fly by (and the older you get, you really notice it..ugh)...I am trying to think how long I have been coming here, I know it has been a long, long time...and thank you for making an almost daily visit to my blog to leave me such nice comments, I really, really appreciate it! 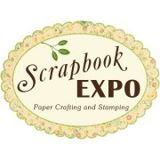 I don't normally sign up for giveaways, but when I saw the words Lemoncraft, Wild Orchid Crafts, DL.Art and more, well I started drooling..lol!! How FUN!! Have a great day, and where in the heck is our Spring, do you have it...lol!! six ans! bravo!! et une jolie surprise! Congratulations on 6 years of beautiful card blogging! I love all that you do! Thank you for all of your kind sweet comments on my blog. What beautiful Spring cards could be created with these wonderful items! 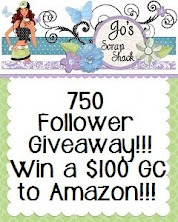 I added your giveaway photo to my sidebar and shared on my Facebook page. Wishing you many more years of creativity my friend! Wow what an accomplishment! Lisa, you have been a wonderful and beautiful friend to me...the past few years of having you in my life has been amazing and such a blessing. I truly think the world of you. You are extremely talented, very generous and you have such a loving, warm heart and that my friend, is why I love you so much! Congratulations on hitting 6 wonderful years of blogging!!! I have added your photo to my blog and I have sent out a post. I truly want to wish you many, many more years of amazing blogging fun. You continue to inspire me and I couldn't imagine not seeing your beautiful work. Congrats again my friend. You truly deserve the limelight today! Happy Bloggy Birthday!!! I got so carried away that I totally forgot to say, that you are giving away an amazing giveaway my friend!!!! Truly gorgeous papers from Lemoncraft and those butterfly dies are beautiful! Someone will be very lucky to receive these goodies!!!! I will put the pic in the sidebar of my blog and let the world knew you are sharing some goodies. Congratulations on six years of posting such lovely cards and inspiring us. I love the pictures you share of the wildlife around your home too. I had to resign as a follower. I must have been kicked off when blogger hitched a while back. I have posted the candy on my blog and hope some new bloggers will visit. I have plenty of stuff but no flowers or ribbon like you use. I just posted about using up the "stuff" I have but can always use new! Wow lots of fun and goodies that I would love having....Thanks for a chance in winning them. Crossing fingers since I've never won anything yet from you, LOL! Thanks for the chance to win this gorgeous candy. Lisa !!!! I am soo happy for you ! Happy Happy blogaversary !!!!!! Six years ! Wow !! Six years of amazing and beautiful designs my friend !! Oh wow Lisa! What an amazing milestone and awesome prize package. I put your image on my sidebar and shared on FB. Big hugs and congrats again! Congrats on your 6th year blogaversary!! WOOHOO!! Wow! 6 years? It truly is a wonderful feeling to visit your blog. Your creations have always been stunning.I love all of the pretty flowers, bows and cannot forget to add the butterflies!You know I am a butterfly girl!! LOL You have been such a wonderful, talented, and humble bloggy friend! I love you for that too! Thank you for the awesome prize that you are offering. I will gladly post it on my blog and will share it on FB as well. Congratulations on 6 years of blogging! That's quite an accomplishment. Love your fantastic giveaway. Whoever gets this prize will be blessed, indeed. Congrats on your 6-year bloggerversary! 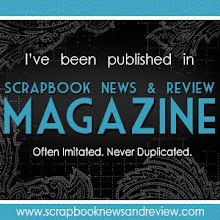 I enjoy seeing your entries at Jo's Scrap Shack and congratulate you on your sixth year of blogging. I've had a blog since September, so I know how committed you have been and admire your lovely work. Glad to be a follower and to share your image on my sidebar. WOW... Congratulations on your 6 blogaversary, Lisa!!! I really love your wonderful blog full of inspiration and amazing works. A super giveaway... you are so generous!!! Wow....6 years is a huge milestone..Congrats Dear on 6 years of inspiring and getting inspired..And wishing you many more crafty years ahead..Your work is really a huge inspiration for us all..Gladly added the giveaway to my side bar...Keep Rocking and thanks for this awesome giveaway..
How exciting to have reached 6 years of blogging! I am so grateful for crafters who share their talents and design with the rest of us and always love seeing your artsy style. I shared on FB since I don't have a blog yet. Congrats on your 6 year anniversary Lisa, I so enjoy visiting your blog and being inspired by you dear friend! Hi Lisa huge congrats on your six years of blogging, you've certainly accomplished a lot in those six years and built up a brilliant blog which I joined a wee while back. 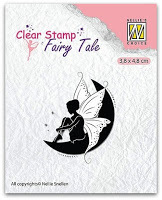 Have put your candy on my sidebar... as a Rose lover and grower I am totally in love with Rose papers, those yummy butterfly dies, embossing folder and other incredibly generous items on your candy!!! Thanks for offering to post it worldwide too, as not everyone does. Congrats to 6 years my friend! Wow, how can that be already?! Time flies~I am SO happy to have met you way back 6 yrs ago in blogland. Your creations are always so breathtaking and inspiring! I have to say you have enable me along the way, hehe with my die purchases for sure! I enjoy seeing posts when they reach my inbox and can't wait to see your amazing work...keep it up my friend!! Thanks for chance at such an incredible giveaway! You are so generous~Someone is going to be so happy to receive all these amazing goodies!!! Have a wonderful day and again congrats! Congrats on your 6th year blogaversary! I will gladly post your giveaway on my blog! congrats on your 6th Blogaversary. thank you for the wonderful chance to perhaps win this super candy. congrats on your 6th Blogaversary! 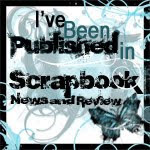 I love visit your blog because all creations are stunning! Thanks for oportunity tu win. I am happy to be part of your folowers in this 6 years. Your work i stunning. Wow! It is hard to believe that we have been bloggy friends for 6 years! I have always admired your work so much Lisa. You are a "swell gal" lol! Congrats! Congrats Lisa!! I am going to have to look and see how long I have been blogging, you have me curious now! Lovely candy you are offering, I am a follower and have placed the photo on my sidebar, and shared on FB! Happy 6 year blogaversary. I'm a follower and have posted in my sidebar. Congrats on your 6 year anniversary of your blog!! You have a wonderful creative gift- thanks so much for sharing it with us!! Congratulations on your 6 years of blogging! I don't remember how long I have been following you but I love that you continue inspiring me with your creations! Congrats on your 6 year of blogging! Wish you many more. Thank you for the chance to win your amazing goveaway. WOW! 6 years! Congrats and Happy Blogaversary my friend! I think it's sweet of you to have an amazing giveaway! I just enjoy coming here to see the amazing inspiration you give... Plus the friendship! :) Wishing you many, more amazing blogging years! HUGS! Just poppin' in to wish you a very good bloganniversary! You are as sweet and generous as you are talented my Friend! Congratulations on your six year blogaversary! You create beautiful cards. Congratulations on your blogaversary and thank you for the chance to win this fabulous candy. Congratulations on 6 years of wonderful crafty inspiration! Happy Blogaversary!! 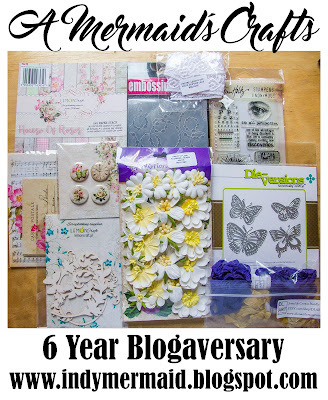 Congrats on your 6th blogaversary and Thanks for the chance to Win these awsome goodies! Huge Congratulations my friend on completing your wonderful journey of 6 years!! Sorry I am reading this post now. Wishing you many more crafty milestones and may you achieve all your dreams! So happy to met you in this blogland and have you as my friend, Thank you for all your love & support & I really appreciate you never miss any of the posts, though I miss to read all of your posts. And your comment on my blog encourages me with lots of happiness!! :) Thank you so much dear. Congrats on 6 years blogging. Only just found you and your work is stunning, how have I missed your blog! Thanks for rhe chance to win, will add to my sidebar when on laptop, can't do from iPad. Wowzers and then some dearie! 6 years and your blog is still going strong and you are creating breathtaking designs. How do you do it!?! Lol. Huge congrats and keep em comin! Even your blog design itself is nice and fresh and so lovely. Hot diggity! Hugz to you muffin! A huge congrats on 6 years! WOW! Time flies when we're having fun! You've shared so much amazing inspiration over the past 6 years ... can't wait to see what you have in store for us the next 6! Happy Blogaversary Lisa! 6 FABULOUS years of beautiful creations! Congrats! Wishing you many more. Wow, congratulations on your six year blogaversary! I always admire your design and your incredible creations, they are stunning! Thank you for a chance to win these great goodies! Welcome to A Mermaid's Crafts and thanks so much for stopping by!! I hope you like what you see :) If you follow me...(thank you so much!! )...please be sure to leave me a comment so I can follow you back!! Click on the links below for chances to win great prizes.